The thesis has one main focus, the purity laws of a religious group in Europe, an original piece of research never done before in the UK. 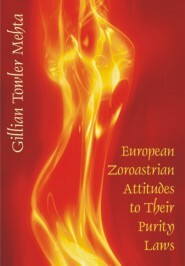 The thesis uses diasporic theories of identity; theories of women and the body; theories of women, their bodies and patriarchal religion and theories of women, purity and pollution in religion, to explain why European Zoroastrian women continue to support six of the purity laws of Zoroastrianism in the year 2003. Purity and pollution are at the heart of the Zoroastrian religion and the research demonstrated that Zoroastrians belief in and knowledge of the six purity laws was strong in 2003. Zoroastrians are a diasporic religious group whose modern origins are in Iran and the sub-continent of India. They have been visiting and settling, from the sub-continent, in Europe, and especially in London, in small numbers since the middle of the nineteenth century. There have been three quantitative surveys of the Zoroastrian community in Europe, in 1976, 1985 and 2003, with each survey building on the last one. Thus, the analytical, quantitative research leading up to the thesis covers a period of nearly 30 years. In the 2003 survey, new questions, never posed before in academic research, were asked about six of the Zoroastrian purity laws, which yielded data for the main focus of the thesis. The women support the six purity laws more than the men and the majority of both women and men affirmed four of the purity laws and rejected two of them. The conclusion of the thesis is that the six Zoroastrian purity laws examined in this research are used in the creation of a hybrid, immanent and liminal religious identity and in some cases ethnic identity, by the women of the European Zoroastrian community; purity laws are known about and matter to these women in Europe in 2003. Winner of 2011 "Dissertation Excellence Award"
Dr. Gillian Towler Mehta holds a Bsc(honors) degree in Sociology awarded by the University of Hatfield, UK. She also holds an Masters of Arts in Sociology awarded in the USA by Bryn Mawr College. During her residence outside the UK she collaborated with Professor J. R. Hinnells, the foremost authority on the Modern Zoroastrian Diaspora in the world, and analysed the data they had gathered from the Zoroastrian surveys. Upon returning permanently to the UK she was awarded a Ph.D. by the University of Liverpool in Philosophy.